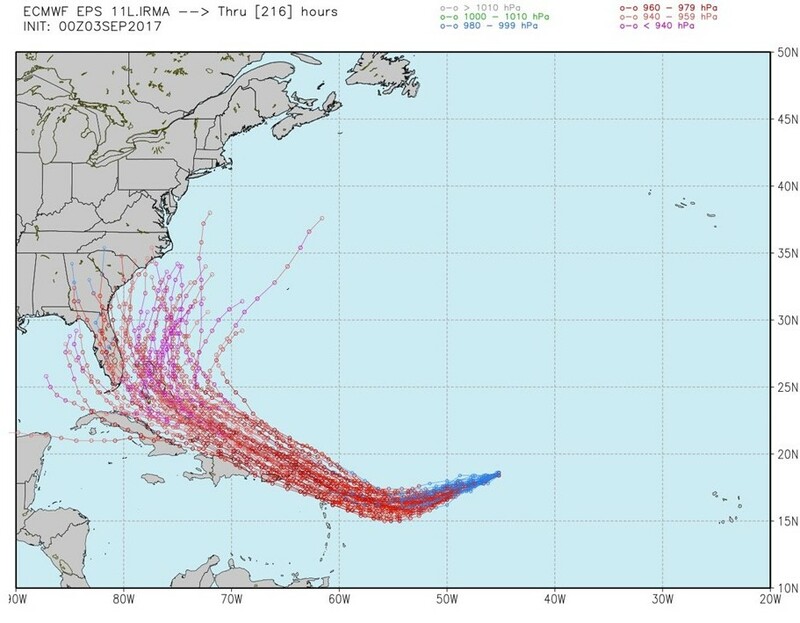 When a hurricane is out in the ocean, meteorologists produce what are called "spaghetti plots" that indicate possible trajectories of the storm. This was Irma a week +/- before landfall. By varying initial conditions and running the simulation out in time, meteorologists get to see who might be in danger. As you can tell, there was a reasonable probability that the hurricane would hit Florida. The hurricane eventually hit Florida. In e-commerce, comparable techniques can be applied. I like to use a time-series modeling process incorporating lags and current merchandise productivity. I'll spare you the math ... if you want to see the math, send me an email (kevinh@minethatdata.com) and I'll share the technique with you. Here's the forecast for new/existing items, showing past year trends (black), monthly merchandise productivity (red), and future projections (green). Each month, this company is losing nearly $28,000 of demand from new items ... in other words, new merchandise productivity is poor. 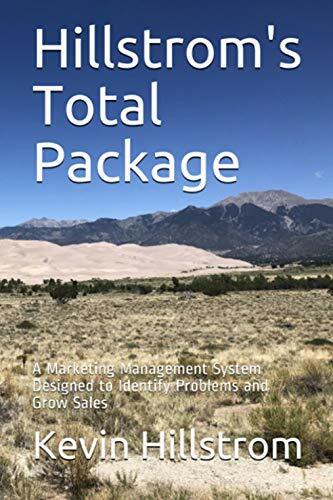 Each month, this company is gaining $106,000 of demand from existing items ... in other words, existing merchandise productivity is good! 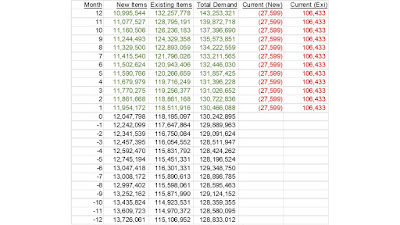 94167 + 0.988*Lag(New Item Demand) + 1.566*(Monthly New Item Productivity). 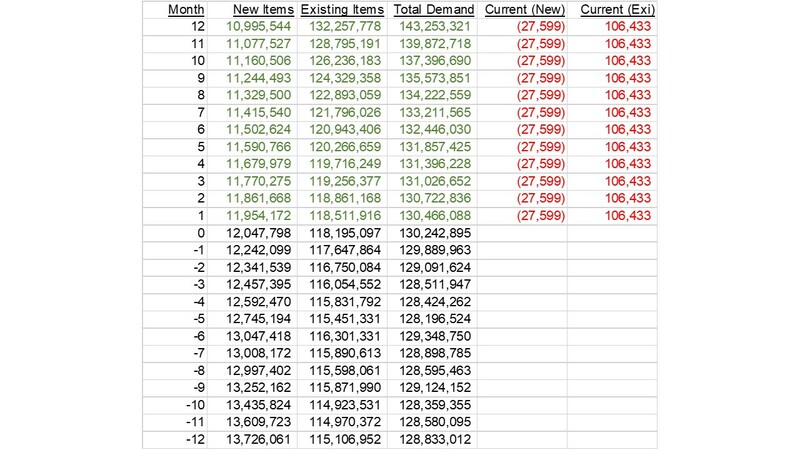 -56,920,972 + 1.348*Lag(Existing Item Demand) + 3.470*(Monthly Existing Item Productivity) + 0.953*Lag(New Item Demand). There are two important findings that we can derive from the equations. New Merchandise is not impacted by Existing Merchandise. When New Merchandise Productivity Improves, Existing Merchandise Sells Better. Tomorrow, we'll investigate what happens when new merchandise productivity flattens out (instead of the current trend of negative performance). P.S. : Yesterday I spoke of 4 options you'll have going forward. So read this ditty about Levi's (click here). Where does this tactic fall on the continuum?